It was an accident. Emma and Anthony Smith had no intention of becoming the ‘sweethearts’ of Dryanavo dogs but now, almost four years since the start of their unplanned attempt to make their corner of the world a better place for canines, the title seems more than apt. 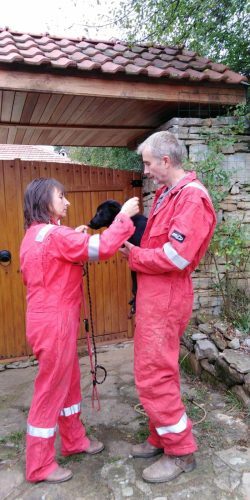 The couple’s plan had been a sabbatical from their demanding jobs in the north of England (Emma was a police officer and Anthony a professional diver) and spend some time off in rural Bulgaria. 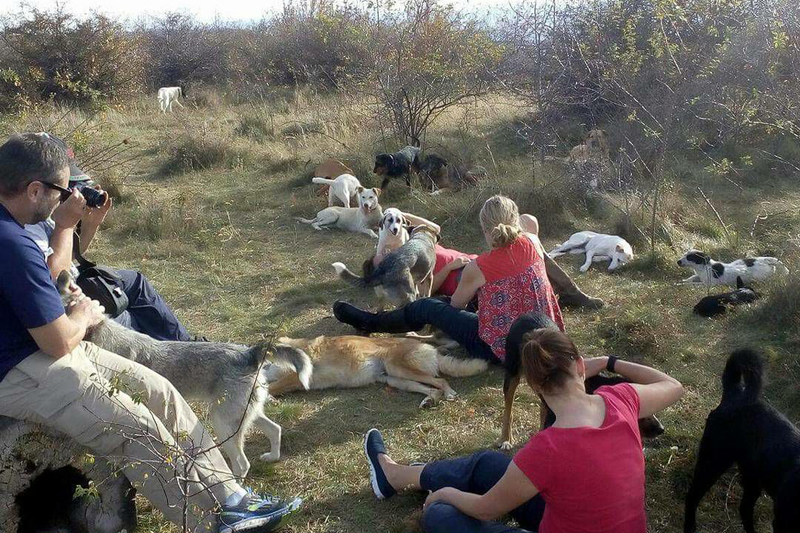 Yet, despite the beauty and benefits of a slower pace of life, the couple soon discovered that there is a dark underbelly in the picturesque villages nestled at the foot of the Balkan mountains: the treatment of the many dogs who battle to survive their pitiful existence on the streets. So, having just moved to a foreign country and fuelled by nothing more than empathy, the pair undertook the venture of their lives. Initially, there was one dog, found “dumped in a tip, covered in grime and rubbish”, recalls Emma. They called her, appropriately, Tipsy and adopted her as part of their new life. With grim pragmatism, Emma describes how the situation began to snowball: dogs abandoned, begging for food, struggling to survive, wandering in mongrel packs. Then the unforgettable haunted look of a small, powerless dog being mated by a much larger breed with nobody to care for either dog or the inevitable unwanted puppies was a significant tipping point. The Smiths now had an aim. The decision was made to attempt to capture and neuter street dogs in an effort to prevent the uncontrolled number of puppies roaming the pavements, scavenging for scraps while enduring casual cruelty from a local populace who saw the desperate dogs as little more than a nuisance or, in the worst cases, a justifiable target for stone-throwing or physical attack. Some cases, even in the very beginning, were just too distressing to warrant returning dogs to the lives from which the Smiths had scooped them up. The day Emma and Anthony received their official papers from the authorities, allowing them to spay/neuter animals, they set out to capture ‘Bus Stop Dog’ – the victim of that fateful mating incident, who was hiding out, pregnant and frightened. She became the first dog to be rescued and subsequently adopted by a local workman. “Seeing that sort of ending made us hopeful for the future of street dogs that could be rehabilitated,” says Emma. As the venture reaches its fourth year, the couple has 70 dogs in their care and have neutered more than 650. It’s a complicated picture – many of the dogs Street Hearts deals with come from generations of feral dogs. They are capable of surviving, and domestication causes far more stress and anxiety for the dog than they could tolerate. In other cases, dogs are so aged, infirm or damaged that, although they cannot be returned to the streets, the Smiths have made a promise there will no attempt to rehome. Instead, they will live out their days on the Street Hearts farm, where they can roam freely. Some of the dogs do, however, move on to forever homes. Emma and Anthony happily tell of the many beautiful dogs rehomed across Bulgaria and the rest of Europe, whose less-than-auspicious start in life has not stopped them from becoming cherished family pets. Alexander Makedonski, who lives in Dryanavo, talks with passion about the”‘two foreigners who gave us a lesson in how things should be done”. He recalls how “they came to my place with Max [one of its rescue dogs], and I knew this was the right dog for me. He is really loving, smart and kind to everybody”. It’s these happy endings that offer the motivation for Street Hearts to keep going and attempt to do more in often very trying circumstances. The thriving social media pages for Street Hearts BG on Facebook, Instagram and Twitter not only focus on the day-to-day work of the Smiths but have become a place for adopters and donors to swap anecdotes about their own part in the Street Hearts’ story. Friendships across the world have been made thanks to the adoption of a street dog from Bulgaria. Emma and Anthony have the support of many of the expat community in their region, and fundraisers are a regular occurrence. In the UK and across Europe, adopters and supporters meet in person while the online community grows. An unusual element of the Street Hearts’ tale is their patron. Call the Midwife star Kate Lamb, formerly Nurse Delia Busby in the hit BBC drama, contacted Emma and Anthony about adopting a dog for a family member after hearing about the ‘Castration Programme for Cats and Dogs in the Dryanovo Municipality’ through mutual friends. Rather busy with saving the dogs of Bulgaria, Emma was unaware of Kate’s fame, but after a subsequent visit, a very special relationship was cemented. Beyond pretending to be a nurse in the 1960s, Kate has some hidden talents, not least as a canine behavioural expert and trainer. She has shared her knowledge with Street Hearts to better understand feral dogs. Emma also notes that it led to “something we now pride ourselves and our rescue dogs on – being happy on a lead, which so many rescues neglect, making transitions to homes quite difficult”. 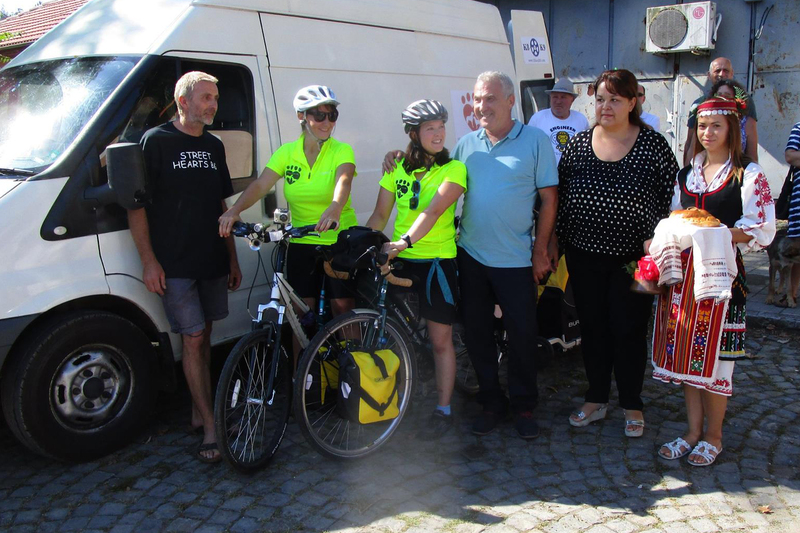 Kate also gave a different kind of help with the adoption of a new name; gone was the utilitarian ‘Castration Programme for Cats and Dogs in the Dryanovo Municipality’ to be replaced by the more memorable Street Hearts BG. The actress’s involvement also led to a remarkable fundraising event. When Kate’s own dog, Willow, died in December 2016, it was natural she would turn to Emma and Anthony when she was ready for a new puppy. What was unusual was the means of transport by which that dog, Scout, was to reach her new life in London. Not for her the usual crossing continent by transport van, instead Kate decided she would take Scout home via pedal power. 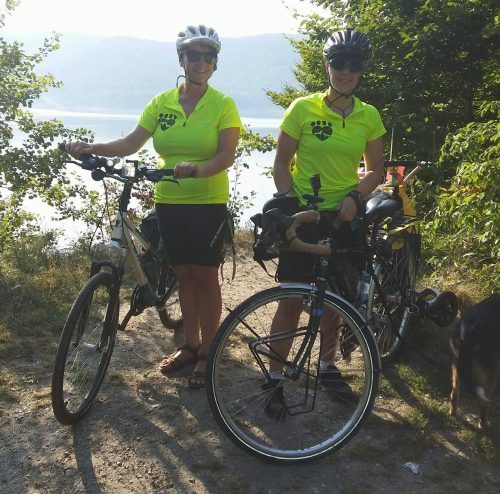 And so, in the summer of 2017, across 2,549km, 44 days and eight countries, with Emma joining her for some of the way, Kate cycled and Scout was towed to raise money for much-needed new facilities at Street Hearts HQ. Kate is not the only one taking on huge challenges for Street Hearts, also inspired by the charity is Michelle Casey. She too adopted a dog from the charity and is running the London Marathon this year, in recognition of the fact that learning about Street Hearts “has been one of the most important introductions in my life”. Despite the constant onslaught of abandoned and mistreated dogs, there is cause to be cheerful. With a new home for elderly dogs, recognition as an NGO, a quarantine area and several other improvements in the offing, Emma and Anthony’s relentless hard work means a better future for street dogs in Bulgaria. Loren Cafferty is a teacher and writer from the north of England. She is happiest somewhere outdoors with beloved foster dog Toby, the springer spaniel. So great to hear Streets Hearts BG being rightly celebrated. Our dog Jasper came from them and he is the most loving dog I have ever met, I will be forever grateful to them.